SEO and user-generated content have a complicated relationship. On the one hand, user-generated content can give search engines more information to work with, improve your rankings for long tail search traffic, and encourage community activity that generates links and other positive off-site signals. On the other hand, user-generated content can be low quality, redundant, spammy, it can dilute authority, and sometimes it can even earn you a manual action from Google. Here are three ways how to best to leverage your user-generated content for positive results. 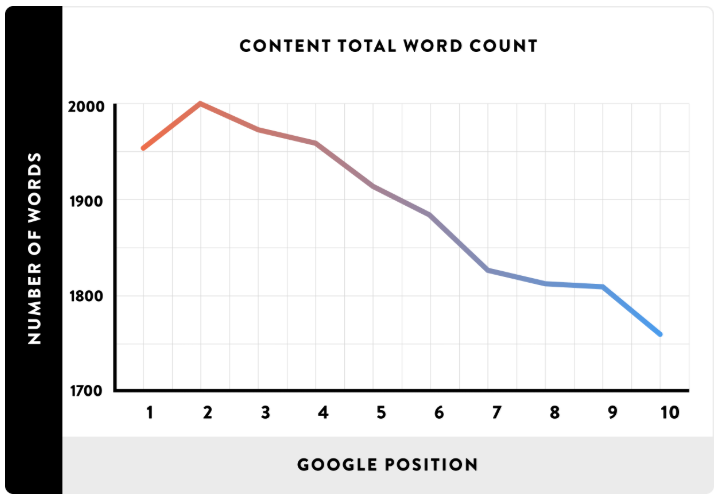 It’s well known in the SEO industry that pages with more words tend to rank better, while it’s also typically acknowledged that this isn’t always the case, since a page with a higher word count isn’t always the most useful page for a user based on their query. Pages that users seem to enjoy for multiple related queries give Google more data to work with than pages that only do well for a handful of queries. Search engines have a more convincing reason to rank pages these. Since pages with long-form content generally go more in depth and approach a topic from more angles, they also tend to reference a wider number of queries. This creates a snowball effect whereby Google ranks the page for more and more keywords until it becomes a central hub for a topic. One potential issue with user-generated content is that its comprehensiveness can be hit or miss. Some users may write 10,000 word essays, while others might write a dozen words or less. A good solution to this is to pool together user-generated content, consolidating related content onto a single page. Consider what Patrick Curtis of Wall Street Oasis had to say about how they achieved a 32% boost in search traffic. A full 99% of the content on their site was user-generated, with the obvious issue of creating inconsistent quality and depth. A primary goal of reworking the site was “merge and purge,” consolidating the content from multiple discussions about the same topic into only the two or three URLs that were performing the best. To accomplish this, they migrated the user-generated content from the lower-performing pages into the higher-performing pages, unpublished the low-performing pages, and set up 301 redirects from the low-performing pages to the high-performing ones. Identify URLs that are ranking for related queries, or that use similar words in the title tag. Migrate all of the related user content into a consolidated page. The consolidated page should be an existing URL, the URL of the highest performing one of these pages. If, for UX reasons, it still makes sense to keep up the lower performing pages, breadcrumb link them to the consolidated page as a “parent” or “category” page. Either canonicalize them to the consolidated page or noindex them (but never both). If it doesn’t make sense to keep the “child” pages for UX purposes, take them down, 301 redirect them to the consolidated page, and update any internal links to the old pages so that they point to the new page. Moderate user discussions and remove content that doesn’t meet community standards to keep your quality score high. If you are running a marketplace or selling products, you should strongly consider incorporating user reviews into your product pages or otherwise on your site. Like consolidation, user-reviews boost the word count on your pages and give the search engines more information to work with. User-reviews also align very well with Google’s quality rater guidelines. Aside from directly mentioning reviews as a way of judging the reputation of a site, Google’s quality rater guidelines are driven in large part by how well the purpose of the page aligns with the purpose the searcher is seeking with their query, and how well the content meets that purpose. On-page user reviews, so long as they aren’t suspect, help users evaluate the quality of the product in a more trustworthy fashion than anything you can provide alone. In fact, 84% of users trust online reviews as much as they trust their friends. If you’re concerned that anything less than a perfect five-star rating is going to hurt sales, this fear is unfounded. Surprisingly, product purchases are most positively influenced by reviews with an average star rating between 4.2 and 4.5, presumably because excessively high ratings are seen as suspicious. Various studies tell us that user reviews on average boost sales by 18%, that 63% of users are more likely to buy from a site with user reviews, that visitors who interact with reviews are 105% more likely to make a purchase, and that 50 or more reviews can lift conversions by an additional 4.6%. Use a platform like Trustpilot (whose own reviews are incidentally within that2 to 4.5 range) to implement user reviews on your site. Whatever platform you use, it should be easy to verify that the reviews are created by users and not hand selected by your company. This is why third-party platforms are preferred to in-house solutions that users may be suspicious of. It should be easy for users to leave a review on your site (provided they are verified purchasers). Features such as being able to sort reviews are recommended. Allow users to rate the usefulness of reviews. Related to the idea of consolidating your user-generated content is the idea of curating your user-generated content. Curated content is content that you create by collecting, organizing, reworking, and republishing content created by others. This is often thought of in terms of curating content created by other publishers, such as when a blog posts a monthly list of editorially selected top blog posts in the industry. But content curation is by no means limited to repackaging content created by other professionals. You can also curate content created by your own audience and obtain positive SEO results in response. CognitiveSEO lists National Geographic’s “YourShot” as a great example of this. They ask their audience to send them photographs as part of a contest, and publish the best photos to their YourShot subdomain. CognitiveSEO notes that this strategy has worked very well for National Geographic, earning them 649 referring domains, nearly 190k backlinks, and high page and domain influence. They reworked an existing image gallery to make it easier for users to upload their photos to the site, and used a system that would allow them to host the images on their own site instead of a third party platform. A system was set up to pull images from social media with University hashtags and host them in the image gallery. They leveraged contests, including a Halloween costume contest, to encourage image sharing. Ideas for new contests were regularly brainstormed. The reason content curation like this works so well for attracting links is because it puts the users in the spotlight. Since a large number of users could potentially see their photographs published in YourShot, they get excited about the project and share the site on their platforms. This creates buzz that earns natural links from users as well as from the press. Meanwhile, curating the content editorially ensures that it is of high quality, resulting in a positive impact on how search engines interpret your site content. The link-earning potential is highest if the curation is something users are expecting, which is why contests or something similar are usually the best way to go. They build buzz and attract attention from the largest user base. The goal is to make the user the star. Do not place too much emphasis on branding, at least not in the traditional sense of making sure your logo is facing the camera. Focus on lifestyle marketing instead. The contest should be entertaining or interesting enough to override any cynicism people may have about working with a brand. Contributors should feel like they are taking part in something fun and interesting rather than contributing to soulless corporate exploitation. Properly deployed, user-generated content can be a massive benefit for your site. User reviews can bump up your uniqueness score and help you rank for a wider variety of queries. Consolidating and moderating user discussions produces in-depth, comprehensive pages that pull in long tail. User contests and curation lead to link earning and other positive off-site signals. Take advantage of these opportunities and make the most of your audience.